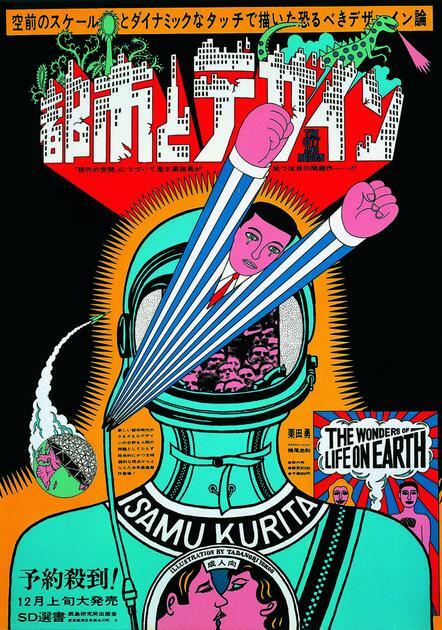 What do Tadanori Yokoo – one of the greatest contemporary Japanese artists – and science fiction mangas have in common? At first glance, nothing. Nonetheless, besides the fact that the names of Tadanori Yokoo and mangaka are generally speaking not very well known in our part of the world, Yokoo’s silkscreened posters are the product of a mode of creation more or less identical to these comic books so revered in our day and age: all are inspired by motifs which were not Japanese to begin with (Pop Art, science fiction), are made to resonate with Japanese aesthetics (emakimono, ukiyo-e) and create hybrid artworks which, in turn, influence the works of European and American artists or comic book designers.